Do you want to know why so many businesses like working with us? Here’s what they have to say about it. business owners from 15 countries easier. out of 5, based on clients' reviews. Having started working with AltexSoft after a personal recommendation nearly two years ago, we haven't looked back. Our project required a large amount of industry specific methodology and algorithms to be implemented into our new software, which the team handled well. Also, the post development support that AltexSoft have provided has been first class. I am really happy to work with AltexSoft. The project manager as a single point of contact is doing great job in bringing all things together. The QA Automation team is really helpful in support of regular delivery process of the product. I believe, any engineering team should be able to understand the requirements, deliver on time, deliver according to the requirements. With AltexSoft we have found the team that can provide all three. It’s a great team with excellent communication skills that made a difference in our business. 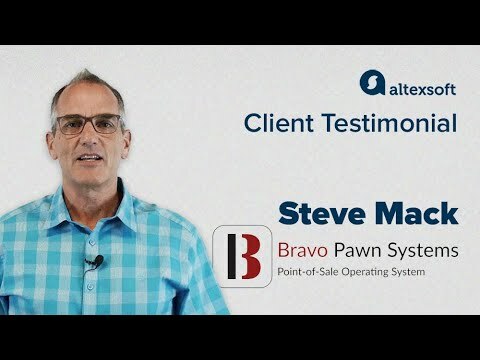 AltexSoft was referred to us by one of our employees because they had been so incredibly professional. They have proven to be extremely trustworthy, valued partners who make good recommendations and deliver consistently. Their engineers use industry best practices when building interactive digital experiences and we find their work to be very strong and worth every dollar. We have been working together for almost 2 years and they have always been excellent, both on the account management side and the deliverables. I reviewed many different development organizations and had 4 companies’ present proposals. Alex and the team from AltexSoft won by a large margin due to their exceptionally clear communications, detailed plan of the development project, and appropriate technical skills on staff to complete the project on my timeline. The complete project was finished on time and on budget and allowed us to begin launch activities 2 weeks earlier than planned. If you are considering an overseas partner for a software development project, I would highly recommend Alex and his team. We have always looked for external resources that matched our core values and with AltexSoft and the leadership of Oleksandr Medovoi we finally found a smart and conscientious team. I have personally referred AltexSoft and highly recommend. I was impressed by AltexSoft's professionalism. Normally that comes across as salesmanship, but in this case it was the real developers and project managers working directly with our team - they even took the time to teach our in-house development staff about the code they were writing and how to manage the product internally! In closing I was impressed. I have a long ugly history with outsourcing and was, admittedly, gun shy about using any outsourcing again. AltexSoft's approach was refreshing as they became a part of our team during the project. They worked directly with us daily. They show a real expertise in both business and technology and the marriage of the two. Furthermore, AltexSoft delivered the product that we needed not just the product that we thought we wanted. Thanks to AltexSoft for bringing back my faith in working with technological outsourcing and for delivering what we needed. In the Spring of 2013, while searching for an overseas partner for developing cutting edge mobile app development, I turned to AltexSoft. On schedule and complete down to the finest detail, my custom app projects for iPhone and Android launched successfully and were accepted to their respective app stores on the first attempt in both cases! This company has never given me a reason for complaint. All concerns were addressed extremely promptly. This is a serious firm with multiple top notch engineers who do not drop the ball when passing aspects of a project to a colleague internally. Anyone who knows outsourcing knows that this is a significant issue and it is a real stroke of luck when you find a developer whose team is fully in sync. We would be glad to provide you the phone numbers and emails of some of our clients, so you could learn first-hand what it’s like to work with us. Please reach out to us at (877) 777-9097 or sales@altexsoft.com.